Have you ever heard the term “defensive driving“? If you have, you may wonder what it means. Basically, it translates to driving responsibly when you’re behind the wheel of your new Toyota in Orlando, regardless of the conditions and other drivers around you. When you engage in defensive driving, you work to avoid accidents and injury by being aware of your surroundings, anticipating what might happen and reacting to them accordingly, even if you’re facing bad weather or a negligent driver. Our Orlando Toyota dealership realizes how important this component of your drive time is, so we’re giving you more details on how to put this term into practice. How can you drive defensively in your new Toyota? One way to engage in defensive driving is to do away with distractions in your new Toyota. This means putting down your cell phone, leaving your iPod in your purse, and focusing on the task at hand – getting your car and your passengers safely from point A to point B. If you really need to make a phone call while behind the wheel, check out the Bluetooth streaming technology that our Orlando Toyota options have to offer. Another way to engage in defensive driving in your car is to ensure that you are 100% engaged and aware. This means avoiding getting behind the wheel when you’re sleepy, and never taking to the streets in your Toyota if you’ve been drinking. Practice a zero tolerance policy when it comes to alcohol. When you get behind the wheel, you need to be alert, focused, and able to observe your surroundings. 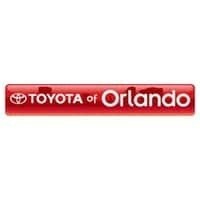 Be aware of other drivers when you hit the highway in your new Toyota in Orlando. You should focus on what you’re doing, but also be aware of the cars around you. This may help you anticipate a possible collision sooner and let you get yourself out of harm’s way, lessening damage and injuries! Always be skeptical of other drivers – don’t assume they’re going to follow the rules of the road like you do and make adjustments to your driving habits accordingly! Maintain a 4 second rule when you’re behind the wheel of your Orlando Toyota. An easy way to do this? Pick a fixed point – like a road sign – that’s even with the car in front of you and start counting. If you reach it before you count to 4, then you need to put a bit more distance in between your car and the car in front of it! Add even more time to this if you’re driving in rain, fog, snow, or other difficult conditions! Have an escape route in mind. What would you do if the car in front of you slammed on its brakes suddenly? Make sure your car doesn’t get blocked in by other cars, which could prevent you from being able to swerve out of the way and avoid a serious accident. This goes hand in hand with being aware of the other drivers around you! Don’t just be aware of other drivers when you decide to take your car out on the road; you also need to be aware of pedestrians, cyclists, and other people and animals on the road! Follow the speed limit, as well as the other basic rules of driving – don’t tailgate or follow too closely, allow enough distance when stopping and changing lanes, and slow down when turning to retain control of your car. Use your blinkers accordingly, and be sure that your headlights, taillights, and windshield wipers are always in great condition. Have questions or need to schedule auto service to get your ride in shape? Call us today at (407) 298-0001.